The wide spread of mobile phone is endless, however, the very new models making their debut so quickly look alike to each other. 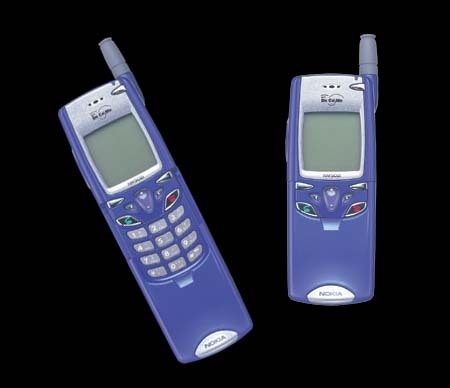 The Nokia "NM502i" is outstanding for its unique vivid color blue velvet and the application of the active slide cover which controls at once reception/shutdown of message. In between calls, it covers the ten keys, while, during the calls, it slide opens so that microphone set on its end comes near to our mouth. Although it is so compact and easy to carry, it is a superior machine that can respond to i-mode, carries built-in infrared port for cableless exchange of data, and is able to ring up by voice call.